Do you need an electric converter or just an adapter? In the USA, for example, the electricity runs on 110 or 120 volts and 60 hertz. In Spain, the electricity is usually 220 or 230 volts and 50 hertz (the voltage can vary under certain circumstances). 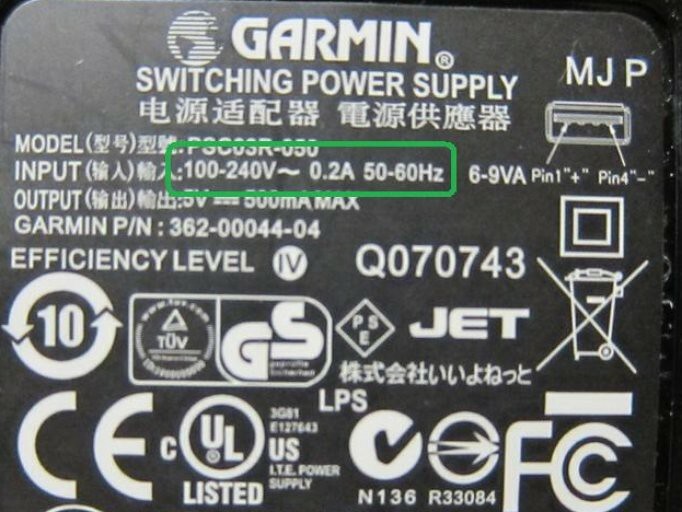 You’re looking for the part of the label that explains what types of electrical input the device accepts (the part underlined in red in the above image). As you can see from the label, this particular device accepts any voltage between 100 and 240 volts (it says 100-240V). This device also operates on 50 or 60 hertz (the label says 50/60Hz). This device is considered to be dual-voltage. If your device accepts 100-240V and 50/60Hz: Your device is dual-voltage which means that it will work with the electricity in the USA and the electricity in Spain without a voltage converter. The only thing you need is an adapter plug to change the USA prongs to Spanish prongs. If your device does not accept such a wide voltage/hertz range: Your device is not dual-voltage. You’re going to need to buy yourself a converter that will plug into the wall and change Spanish voltage to American voltage. Most converters also come with a prong adapter, but if yours doesn’t you may need a prong adapter as well so that your American plugs will fit into the Spanish sockets. Most modern laptops and digital cameras are dual-voltage and work in the USA and Spain without much more than an adapter to change from the flat-pronged plugs of the USA to the round-pronged plugs of Spain. But be careful:Remember, you can buy a voltage converter and/or a plug adapter at any travel store and the clerk can probably help you decide what to buy. Radio Shack may also be a good place to look for this kind of item. If you plug a device into the wall in Spain that is not made to accept European voltage, you’ll blow it up!!! If you are unsure of what you need to power your “gadgets” in Spain, ask an expert. The information here is only meant to give you a rough guide.